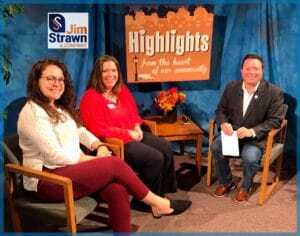 The show airing November 5, 2018 – November 12, 2018 ‘highlights’ the Children’s Therapy Clinic and their upcoming Light the Way 5K at Coonskin. We interviewed Valicia Leary, Executive Director, Children’s Therapy Clinic and Meghann Ferguson, VP of the CTC Board. Valicia talked about the Clinic and what their purpose is. They are a private, non-profit organization located in Charleston, WV. They provide comprehensive therapy to children with disabilities. If a child’s job is to grow, learn, and play, our job is to help a child be a child. They recognize that each child is unique and needs an individual treatment plan. Children’s Therapy Clinicoffers a team approach to focus on each child’s needs and abilities by including parents, caregivers, family members, and other professionals involved with the child. The CTC therapists help each child to reach his or her full potential and help create the little miracles of a child’s first step or word. Valicia has been in her position for 13 years. She first became affiliated with the clinic when her daughter, now a senior in high school, needed physical therapy. The clinic has been in operation for 83 years. 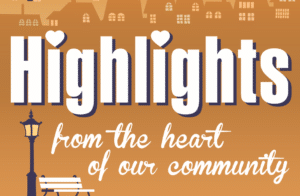 Meghann discussed the upcoming event, Light the Way 5K at Coonskin Park on November 16, 2018 beginning at 6:00. Walk or Run through the Christmas Lights! Get the 1st look at the Lights at Coonskin Park before they open to the public. There will be hot chocolate, caroling, and contests, too! Contests Include: Ugliest Sweater, Best Costume, and Most Creative Team Theme. Registration-Check-in begins at 4:30 p.m.
All proceeds from the event will be used for therapy services for children with special needs who have insufficient insurance and/or income. Call the clinic with any questions. 304-342-9515.